Please visit Risky Regencies to learn more about last week's installment, Episode 6: A Spy in Our Midst, and be sure to read on for my review of Episode 7: A Man of Business and details on the giveaway! We are now well over halfway through Belgravia and well and truly immersed into the world of the Trenchard and Bellasis families. In true trademark Julian Fellowes fashion, the journey thus far has been replete with twists, turns, and intrigue aplenty, as the hidden product of a Napoleonic War-era affair between the late Sophia Trenchard and Edmund Bellasis comes to light -- to all but the subject in question, the unwitting focus of the matron of each respective family's furious maneuvering. This episode of Belgravia is perhaps my favorite yet, as so much of the secrets, discovery, and social machinations that have been set in place in the previous installments begin to bear fruit, the ripple effect of calculated decisions and reckless gambles playing out in the lives of each character. This installment opens with a rare moment of accord between Caroline Brockenhurst -- Edmund's mother -- and Anne Trenchard -- Sophia's mother. These two very different women are bound together in an unlikely alliance by a moment of passion between their children years earlier that produced Charles Pope, enterprising mill owner and unknowing -- and illegitimate -- heir to two prosperous families. The secret that binds together the Trenchards and the Brockenhursts is one that cannot be kept long, as Caroline's enthusiastic and very public patronage of Charles has already started to raise eyebrows within her social circle. Given the inevitability of such a disclosure, Anne seizes the opportunity to join Caroline and Lady Maria Grey, the bright and vivacious young woman rather unfortunately engaged to John Bellasis, Caroline's nephew and the Brockenhurst heir. The secrets simmering beneath the surface of the visit inform the tone of this episode, as Caroline and Anne each long to openly acknowledge their relationship to Charles and celebrate, through him, the restoration of some small part of their long-lost children. And Maria, despite her engagement, cannot help but respond to the simmering attraction between her and Charles, especially when as compared to her relationship with her intended, John, their every interaction speaks of a potential marriage of two equal, enthusiastic minds. John, having received intelligence as to Caroline's whereabouts from her maid, Ellis, makes an unwelcome interruption to the otherwise cozy visit, eager to learn anything he can that will help him destroy Charles. For, despite his ignorance of their familial connection, he views Charles a a wholly unwelcome rival to be disposed of, a usurper making free use of the money he already views as his own thanks to the assumption he will inherit the Brockenhurst fortune. Following the visit, Anne leaves for Glanville, the Trenchard family's country estate, with John, Oliver, and Susan in tow. Her time in Charles's presence, hearing his enthusiasm for his life and work has left her at peace, and now she finds herself willing to accept the coming social storm that would result when Charles's true identity was revealed, as surely it must. Meanwhile, Maria does the unthinkable. Determined to defy her family's wishes and bring an end to her engagement to John Bellasis, she takes her romantic future in her own hands and requests a meeting with Charles. This section of the episode absolutely made my heart sing, as when it comes to historical fiction I love nothing quite so much a love story between social opposites. This scene, more than any other to date in Belgravia, reminded me of the romance of Downton Abbey and the spark that peppered each of that series' memorable romances. This episode is a study in contrasts, from the tension between the aristocratic old money of the Brockenhursts (and their correlating ability to absorb potential scandal as a routine matter of course) and the new money springing from trade and industry represented by the Trenchards and James's ever-evolving business interests. Likewise there is the exploration of women's roles in society, here between the expectations a woman such a Mary faced (marriage and children) and those she craved (love, travel, business interests). "You are a model of dynamism and industry and yet, unlike most people in your way of life, you were not born to it." Both Mary and Charles, in particular, represent a marriage of the two social facets, the aristocracy and the lower -- though socially upwardly mobile -- class, those who make their fortune in trade and industry. Charles exists at the nexus of the aristocracy and the burgeoning Industrial Revolution, a man -- though he does not yet know it -- born to privilege, but driven to make his own way in the world. It has been challenging to review a single installment of this story rather than discussing the entire tale as a whole. 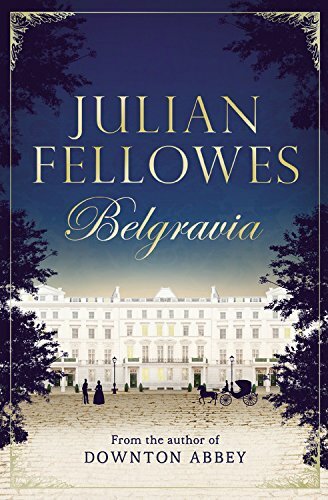 But that has been part of the appeal of this form of serialized storytelling, as with each successive installment I've grown increasingly invested in the world and characters Fellowes has crafted within the pages of Belgravia. Stylistically this novel is something of a departure from current historical fiction offerings, more narrative driven than I'm used to, much like the classic serialized novels that inspired Belgravia's inception. As such, the first episode started slowly for me, but with each successive week as the story unfolded and characters developed, I have found myself increasingly eager to learn what happens next! There are only four episodes left before Belgravia finishes, so there's still time to catch up if you haven't yet delved into Fellowes's latest world of romance and intrigue. If you've been reading along as episodes are released, I'd love to hear your thoughts -- favorite characters, most wished-for comeuppance (a clue: I cannot WAIT until John gets what has to be coming to him! ), or thoughts on this release format. 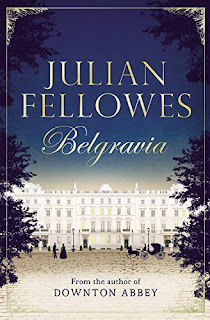 And if you haven't yet tried Belgravia, I would love to hear what intrigues you about this story. Be sure to check in at Mimi Matthews next week for a discussion of episode 8! 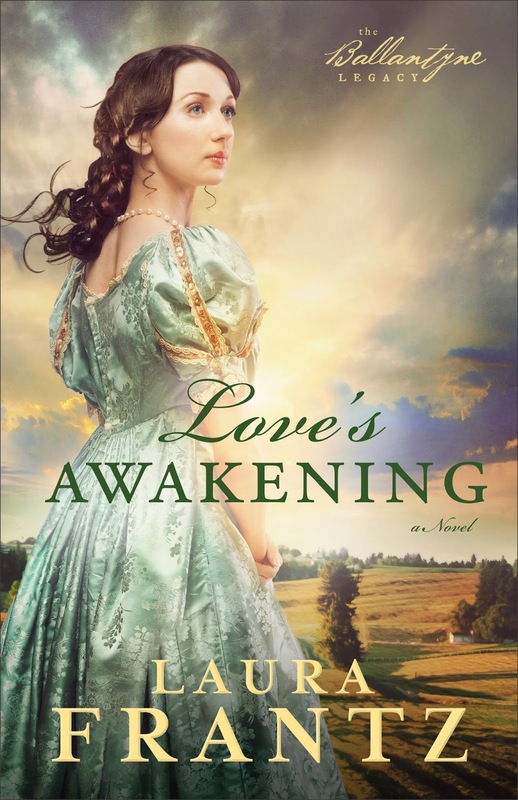 Elinor "Ellie" Ballantyne, just twenty years old and the jewel of her father's heart, flees finishing school and the matchmaking mamas of Philadelphia society, hungry for home and purpose. She is determined to shed some measure of her sheltered upbringing and embrace the Ballantyne steel of her heritage, vowing to make her own way in the world. But much has changed in her absence, and Ellie is ill-prepared for the simmering tensions between the pro-slavery and abolitionist movement, nor the depth of her family's involvement in the latter. However, the greatest danger may hail from the most unexpected quarter -- losing her heart to the son of the enemy -- the engmatic, and wholly unsuitable, Jack Turlock. The rivalry between the Ballantynes and unscrupulous, whiskey-making Turlocks hails from Silas Ballantyne's early days in Pittsburgh, becoming further embittered when Isabel O'Hara, daughter of Silas's one-time friend and mentor, marries into the Turlock clan in a fit of pique when Silas chose Eden as his bride. And from that point, the die was cast: the Ballantynes respectable and virtuous, the Turlocks and their famed hell-raising ever a thorn in their -- and all respectable society's -- side. Jack would like nothing more than to shed his family's unsavory reputation and start afresh. But ever aware of what he's seen and done, he was resigned to the burden of his familial heritage of violence and deceit, until a chance encounter with Ellie awakens feelings he'd long thought buried. Ellie's innocence and guileless acceptance of him as he is awakens in Jack the audacity to hope for a finer, better life. When his father and brother's plans threaten to destroy everything Ellie holds dear, Jack is left with a choice: the life he was raised to or faith in the God the Ballantynes claim and His promise of redemption. While I like to stay current with favorite authors, it has been such a treat to lose myself in each successive installment of The Ballantyne Legacy without that pesky year-long wait between releases. Though the much-loved Silas and Eden are absent for half the novel, their presence is ever felt, underscoring Frantz's thesis of the heritage of faith, inherited through generations. The Jack and Ellie relationship is not only one of my favorite tropes in romantic fiction -- adversaries to lovers -- but it is a gorgeously-wrought exploration of inheritance and choice. Colored with shades of Romeo and Juliet's warring families, Jack and Ellie's blossoming attraction is, at first blush, nought but an impossible dream. Separated by a gulf of familial rivalry and distrust, political ideologies, and most crucially, faith, here Frantz sketches a love story all the more memorable because of the transformative power of faith at its heart. Love's Awakening has a two-fold meaning -- Jack and Ellie, certainly, but also the agape love of one human being to another regardless of race or creed. The sacrificial love those who claim Christ are called to live each day is woven throughout each page, as Frantz places her characters in the eye of the storm brewing over slavery. The Ballantynes and Jack participate in the early skirmishes between pro-slavers and abolitionists in Pennsylvania of the 1820's seeds of the great conflict to come later in the century that would rend the nation in two. As Jack quickly discovers, the Ballantynes' abolitionist efforts are a call to action, a study in the cost, danger, and rewards of putting faith in action. Frantz has always delivered emotionally intense novels. Her heart-stopping romances are a hallmark of her work, as is her unparalleled ability to bring the past to life on the page, all on display here. But in Love's Awakening, in the final oact of Ellie and Jack's story she delivers her most action-packed epic yet. It is no exaggeration to say that my heart was racing as I breathlessly turned the pages, eager to see the finale unfold in all its high stakes, cinematic grandeur. Like it's predecessor, Love's Awakening is a story of inheritance, both for good and ill. The Ballantyne Legacy is an unflinchingly honest study of faith and choice and the power of both to resound through future generations. A stunning romance, suspense, and heartbreak -- this is Frantz at her finest. I cannot wait to discover what's in store for the final Ballantyne installment! But when one of her students turns out to be an incorrigible young member of the Turlock family, Ellie knows she must walk a fine line. Slaveholders and whiskey magnates, the Turlocks are envious of the powerful Ballantynes and suspicious of their abolitionist leanings. As Ellie becomes increasingly entangled with the rival clan -- particularly the handsome Jack Turlock, she finds herself falling in love with an impossible future. Will she betray her family and side with the enemy? Ross Poldark Blog Tour - UPDATE! 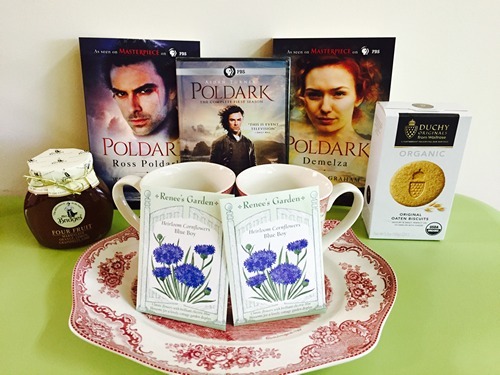 The blog tour celebrating the Poldark novels and miniseries may have ended, but the grand prize contest is still open! The grand prize (hosted by Sourcebooks) now includes a DVD copy of the new PBS series! I'm turning off comments for this post and directing you to my entry in the blog tour, an excerpt from the first novel. You'll find all of the contest details there! Good luck! Eden Lee longs to make a fresh start in Philadelphia, to escape her father Liege's temper and her sister Elspeth's selfish machinations. Her fiery hair and family reputation mask a quiet spirit that hungers after God, desiring nothing more than the freedom to exercise her fledgling faith freely. But before she can make good on her dream of escape, her blacksmith father's new apprentice arrives, setting into motion plans of marriage and familial expectations that threaten to derail Eden's closely guarded dreams. It has been far too long since I've lost myself within the pages of a Laura Frantz novel. Reading Love's Reckoning was akin to water falling on dry land, a balm to my soul sorely in need of Frantz's craftsmanship and heart. 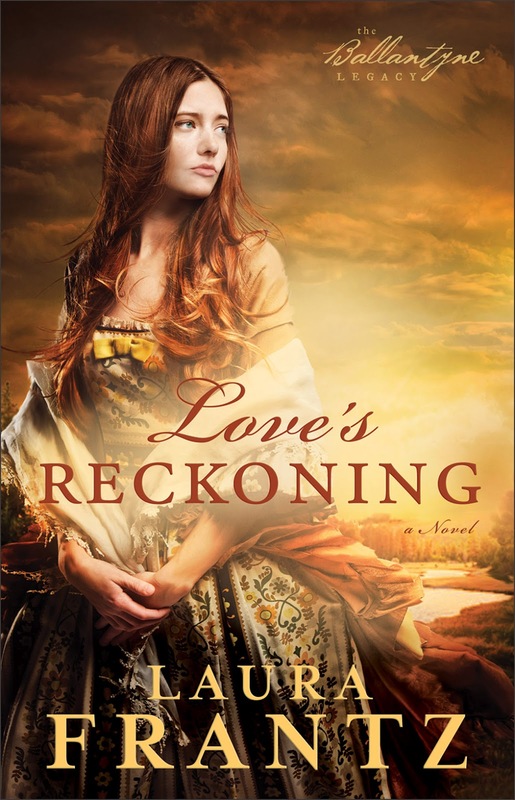 The first installment in a multi-generational family epic, Love's Reckoning is replete with Frantz's trademarks: carefully-crafted characters, a heart-rending love story, and a nearly tactile sense of time and a nearly tactile sense of time and place. Within these pages, late 18th-century Pennsylvania springs to life with color and depth. If a novel is her canvas, Frantz paints with the skill of a master. Here Frantz blends shades of the Cinderella story with a familial and romance dynamic reminiscent of the biblical saga of Jacob, Esau, Rachel, and Laban. Eden is a classic Cinderella figure, the family drudge who still maintains her sweet spirit. In less capable hands, seeing the abuse she endures at the hands of family members could have made her seem weak. But instead, Eden is an intricately wrought portrait of one who chooses again and again the sacrifice of kindness and belief with no expectation of reward (much like the recent live-action version of Cinderella). While Silas is cast in the role of prince/redeemer, both he and Eden's character arcs are colored with shades of Jacob's story (with Elspeth cast alternately as Esau and Leah, in the most extreme forms of that character archetype). Their journey is a fight for an inheritance beyond what the eye can see -- a twin legacy of earthly and spiritual favor. Theirs is a story of lives the enemy to all believers would see destroyed (John 10:10), of potential unrealized and dreams unfulfilled. But in the pain of circumstance, those dreams, once surrendered and yielded to the God who first planted them within their hearts, blossom into a gorgeously wrought illustration of redemptive promise (Joel 2:25). For those who crave realism in inspirational fiction or wonder if it even exists, they need look no further than here for one such example. 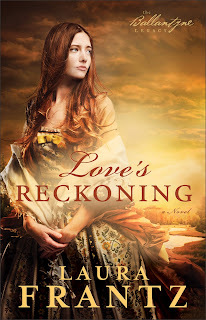 While Love's Reckoning is everything I crave in historical romance -- research, depth, passion -- within these pages lies a tale of emotional abuse, a physical assault, and shattered dreams. Frantz never exploits the very real heartache her characters endure, but within the framework of their circumstances sketch a story of hope and redemption with compassion and sensitivity. Authors like Frantz are why I believe so strongly in the possibility of inspirational fiction. This is a wildly entertaining tale, yes, epic in its scope and intimate in its emotional reckoning, a sweeping saga in every sense that term implies. But more than that, Silas and Eden's story is one of hope and a faith at times no bigger than a grain of mustard seed, and the ability of that faith in action to transform and redeem the most broken among us. On a bitter December day in 1784, Silas Ballantyne arrives at the door of blacksmith Liege Lee in York County, Pennsylvania. Silas is determined to finish his apprenticeship quickly and move west. But because he is a fast worker and a superb craftsman, Liege endeavors to keep in in Lancaster by appealing to an old tradition: the apprentice shall marry one of his master's beautiful daughters. Eden is as gentle and fresh as Elspeth is high-spirited and cunning. But are they truly who they appear to be? In a house laced with secrets, each sister seeks to secure her future. Which one will claim Silas's heart -- and will he agree to Liege's arrangement? In this sweeping family saga, one man's choices in love and work, in friends and enemies, set the stage for generations to come, This is the Ballantyne Legacy. Hello, bloggers! As you might guess from the title of this post, this is making official what's been the state of the blog for the better part of a year (at least). 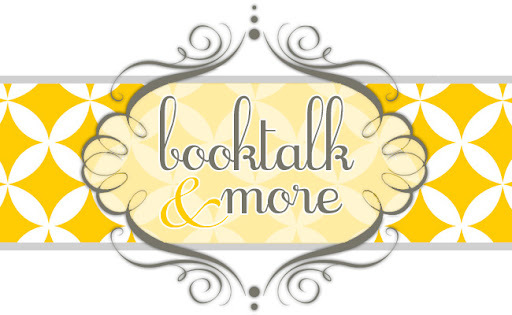 I'm calling an official hiatus on book reviewing and regular blogging through the end of the year. Quite simply I don't currently have the time, and instead of being something I enjoy, the idea of reviewing in the long format I'm used to and love is right now more of a burden and stress, and who needs that, am I right? Also, I need to rediscover reading -- and processing my reaction to the written word -- afresh without the (self-imposed, I know...but the struggle of those self-imposed deadlines is real!) pressure of producing regular blog content. I may still pop in from time to time, but any pretense of expecting to catch up or once again adopt a regular blogging schedule needs to be off the table for me mentally, for the time being at any rate. 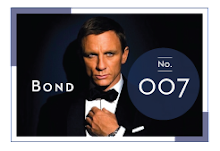 A new trailer for Spectre dropped yesterday and it is GLORIOUS. I had the chance to review Ant-Man, the latest entry in the Marvel Cinematic Universe and you can read my thoughts at BreakPoint! I thought the movie was a lot of fun and Paul Rudd is, as per his norm, pretty delightful. 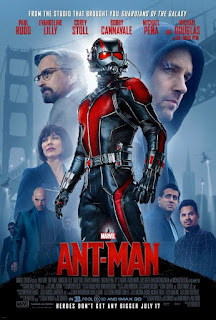 ;-) If you've seen Ant-Man I'd love to hear your thoughts! Came back this afternoon to tons of fantastic spoilers about the upcoming fifth season of Once Upon a Time -- this Dark Swan storyline is going to be sooooo good!! Here's a few videos and links. Comic-Con video - "The Dark Swan" - No new footage here, but Ginnifer Goodwin's narration tracing Emma's journey is absolutely heartbreaking. First look at...MERIDA!! Can't wait! Also, a chilling video clip featuring the introduction of Dark Swan, in what looks to be Rumple's old Enchanted Forest jail cell...or very like it. I have to think Jennifer Morrison is going to enjoy the chance to play a dark Emma. Also, the black feathers in the promo? FAB work there. TVLine has more info and spoilers from the panel. And finally, this links to the video shown at the panel penned by Once-screenwriter Jane Espenson...and it is absolutely HILARIOUS. the key to extraordinary. and biscuit. Ruth has read 0 books toward her goal of 75 books. This work by Ruth Anderson at Booktalk & More is licensed under a Creative Commons Attribution-NonCommercial-ShareAlike 3.0 Unported License.